Professor Takeshi Ohta, assistant professor Ayumi Kotani at the Graduate School of Agriculture, Nagoya University, and their co-researchers have found that wet soil triggered by increased precipitation can damage boreal forests. Their paper was published online in Agricultural and Forest Meteorology on January 22, 2014. Boreal forests, generally called taiga, are needle-leaved forests found in northern Europe, North America, and Russia. The Siberian boreal forest ecosystem has recently attracted broad attention because forest decline can accelerate global warming, influencing the climate in Japan. Previously, only damages resulting from drought have been stressed upon, and the influence of a moist environment on forests has not been considered. 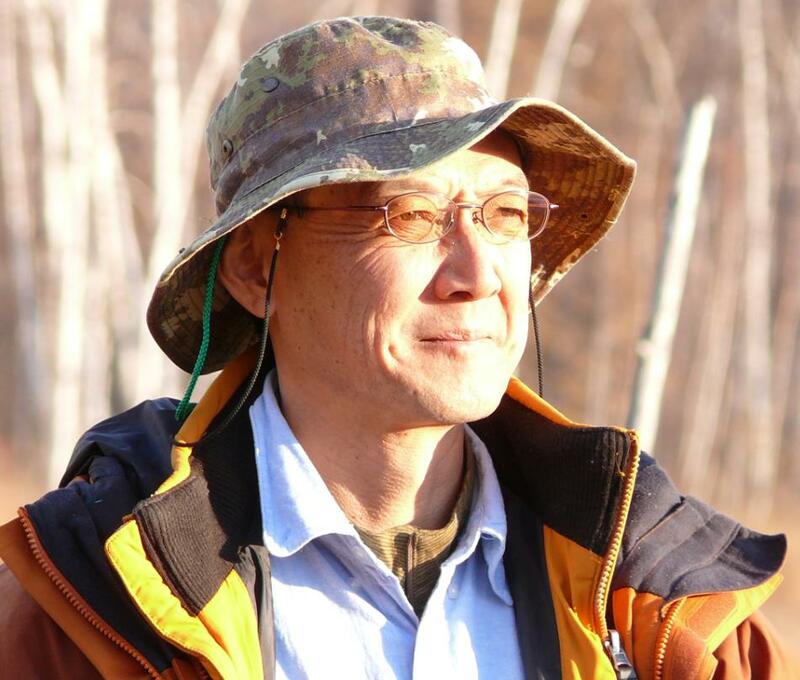 Prof. Ohta led an international research group and has been studying hydrological circulation among soil, atmosphere, and plants in an experimental forest near Yakutsk since 1998. He confirmed from long-term observational data that in the 2001-2004 period, the area experienced low rainfall, while in the 2005-2008 period, the area experienced precipitation of higher than 300 mm per year for 3 years. In 2005, the precipitation reached 330 mm, the highest in the past 30 years. With the changes in the amount of rainfall, the soil moisture content decreased in 2000-2004 and increased in 2005-2009. The boreal forest showed no noticeable difference in the dry period, whereas the ratio of evapotranspiration and photosynthesis to the soil water content declined in the wet period, leading to forest decline. As shown in the above left image, the boreal forest died back in 2007. Boreal forests near Yakutsk grow on permanently frozen soil that drains slowly, and oversaturated soil presumably upsets the boreal forest ecosystem. This research suggests the importance of wet as well as dry environments in boreal forest ecosystem. Thus, the results are widely expected to contribute to the prediction of forest decline and climate change. Professor Takeshi Ohta began his research working on sediment control at Kyoto University, and since then, he has been engaged in researches on snow melting and evapotranspiration at various research institutes. He was motivated to become a researcher when he conducted field surveys in Nepal and Indonesia along with his university professor. In the early 1990s, very few studies had been conducted on boreal forests near Yakutsk. He became a pioneer in this research and built a 32-m-tall meteorological observation tower in 1996. Since 1998, he has been observing boreal forests in this area. He is contributing to the elucidation of forest decline with his research on hydrological circulation. "Boreal forests near Yakutsk are climax forests. We must find a boundary line between forest preservation and forest decline under saturated as well as dry environments. I believe that it is important to predict the types of forest that can survive when forest decline is accelerated. Similar predictions regarding temperate and tropical forests will enable us to predict the future of forests on the earth." "Academic learning is not everything in life. I played tennis and was engrossed with mountain climbing until I began my research. I am here because of the relationships I built during those activities. I believe that good bonds are a gift for your future. It is necessary for you to acquire the attitude of "study when you have leeway." Ohta, T., K. Suzuki, Y. Kodama, J. Kobota, Y. Kominami and Y. Nakai(1999). Characteristics of the heat balance above the canopies of evergreen and deciduous forests during the snowy season. HYDROLOGICAL PROCESSES. 13. 2383-2394. Ohta, T., Maximov, T.C., A. Dolman, A.J., Nakai, T., van der Molen, M.K., Kononov, A.V., Maximov, A.P., Hiyama, T., Iijima, Y., Moors, E.J., Tanaka, H., Toba, T., Yabuki, H. (2008). Interannual variation of water balance and summer evapotranspiration in an eastern Siberian larch forest over a 7-year period (1998-2006). Agric. For. Meteorol., 140: 1941-1953.